Jenny dreams of a young girl drowning in a lake, and wakes the next day to find it was more than a dream. With only 12 days remaining until Christmas, she is struggling; with a young baby to look after, and snow that keeps falling, she finds herself inexplicably and repeatedly pulled towards the lake. The community of the Cathedral city is rocked by the murder of Elizabeth Hoarde, only 14 years old. It’s left to Maarten Jansen, the DCI in charge of the investigation, to unravel the strands binding the worlds of Jenny, Elizabeth and a dark figure, hidden in plain sight, in the heart of the snow drenched town. 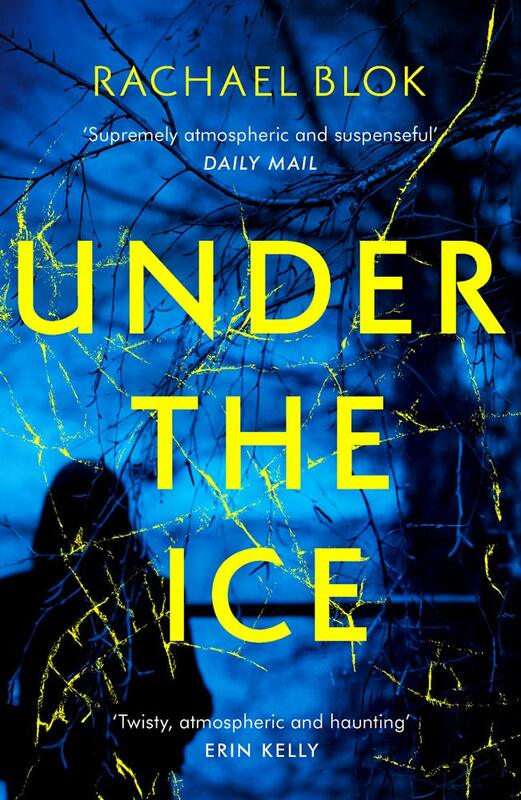 Find Under The Ice at Amazon. The frosted snowman stands in darkness as the young girl fights for her last breath. She loses, sinking deeper and deeper into the lake. The thin ice splinters with her last, feeble kick and the cracks run outwards, fracturing the frozen water. The moon watches with one eye open as the girl sinks into her final sleep. Jenny wakes suddenly, uneasy. Has he stirred? She leans into the crib and the baby’s breath, warm and milk-scented, blows against her cheek. What was the noise that woke her? It sounded like a voice, a whisper. And the rustle – was it the wind? And the sudden cold. The chill like a sharpened blade. Phantasms of the night so real she felt sure it was not a dream at all. She is drenched. Her dreams have left her painted in a skim of sweat. Lying back on the pillow and watching Finn breathe in and out, his tiny chest rising rhythmically, reassuringly, she is finally led back to sleep. Hope Cottage, standing minutes from the Cathedral, is quiet in the final dark hours of the deep mid-winter night. Morning will arrive soon enough, with all its demons and knives.